I caught this American Bald Eagle today on Homer Spit as he conveniently flew behind an American flag. 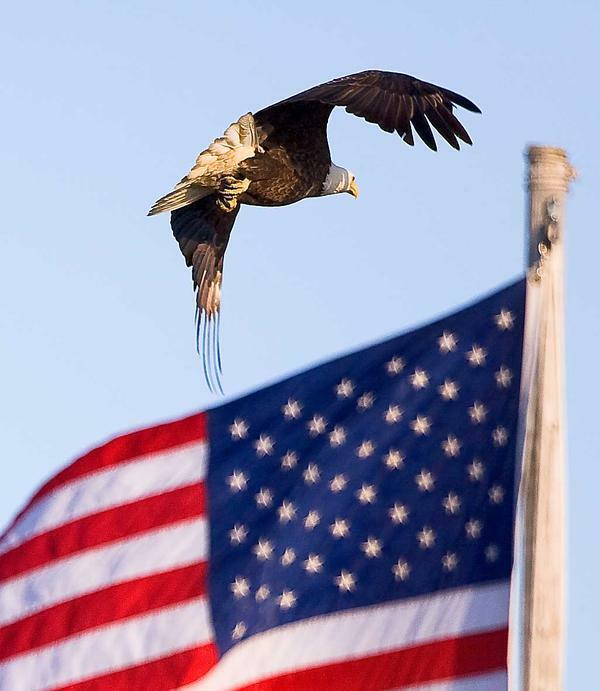 The reason the flag is not in focus is because I used a long lens and focused on the eagle which was beyond the flag. I think it adds to the effect! Wow, great shot and great timing. Excuse me if I question your Britishness!